Extreme cold weather can be hard on both you and your home, bringing with it added exposure and liabilities during the harsh winter season. As temperatures drop, the more susceptible your home becomes to added vulnerabilities. 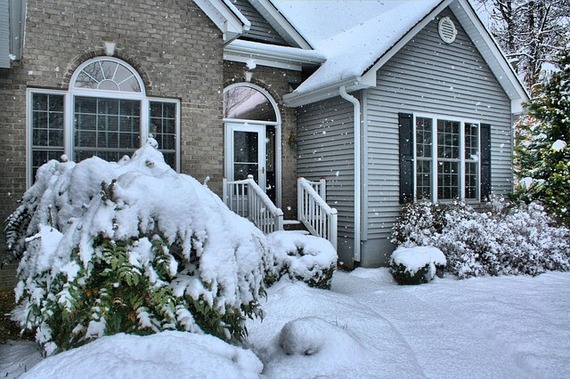 So how you can reduce common homeowner risks that come along with the frigid winter weather? Don’t freeze up when it comes to knowing the necessary precautions needed when cold weather, snow and ice hit your area. Follow these tips to prepare for impending winter weather conditions. Protecting your home from the inside out is the first step to staying warm during freezing weather conditions. Along with cold weather and snow comes ice — which means driveways and sidewalks tend to become more dangerous. To eliminate unnecessary falls or injuries, always maintain your walkways, porches, patios and driveways by shoveling, plowing or salting. Each home and surrounding property has different needs that need to be addressed and tended to. Determine a method that suites your budget and schedule availability, and remember to always remain cautious when walking on outside surfaces during the winter. The last unpredicted event you want to occur in the middle of the winter is the bursting or freezing of pipes. Fortunately, this can be avoided by wrapping pipes in insulation (such as pipe sleeves or electrical heat tape). Exposed pipes in unheated areas of your home. You should also consider adding an extra layer of safety to your home, so you can be immediately notified should a pipe burst or leak. By implementing equipment, such as a smart water leak detector, you can receive instant notifications if a pipe is leaking, to prevent water damages that could be detrimental to you most valuable assets. Remember, if you plan to head south for the winter, shut off your main water supply and set your furnace no lower than 55 degrees. These quick and easy-to-do steps can mean the difference of whether you file a major homeowners claim when you return home. I could see the experience held within The Evans Group was a great asset to me as I sold my house. They knew what to do in each circumstance. I was impressed with their knowledge of the real estate business. At the end of the day. that is what you want with your real estate agent! Cathy is a Buyer’s Agent for Barry & Diane Evans | The Evans Group.